We are Air Duct Cleaning Monterey Park, one of the leading air duct companies specializing in decontamination, sanitization and restoration of air ducts. We own some of the best equipments and our team of professional is well trained with years of experience under their belt. Remember that air is constantly circulating through the ducts and if they are loaded with dirt and dust then it's likely that the quality of indoor air is affected. That is why you need the services of a specialist who can perform regular duct cleaning that is both effective and efficient. Our systematic approach to duct cleaning makes us the most sought after cleaning company in the area. 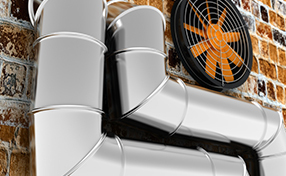 Our methodology is tried and tested by the experts and we understand that every duct system is unique and we do not follow the 'one-size-fits-all' approach. In a general case we test the operation of the existing system, clean and sanitize the air handler unit, clean vent registers and the complete air duct system. Finally the vents are fitted and tested for operation. 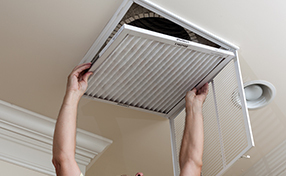 A clean duct system facilitates the passage of fresh air every time you turn on the HVAC system. If there is a lot of dirt and debris, then the system is forced to work harder. Contact us today and see how we can help you save on energy costs in addition to helping you maintain the HVAC unit and duct system. At "Air Duct Cleaning Monterey Park" we draw focus on cleaning air ducts at homes, offices and commercial spaces in the best possible manner. 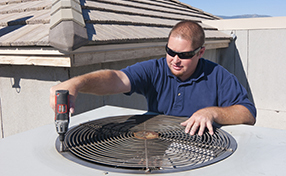 We encourage customers to get their ducts checked by experts like us who can recommend appropriate solutions. Give us a call today if your ducts need cleaning or if you have any other queries relating to them.